P2P Board Member Ambaye Kidane ran his first 5K ever! 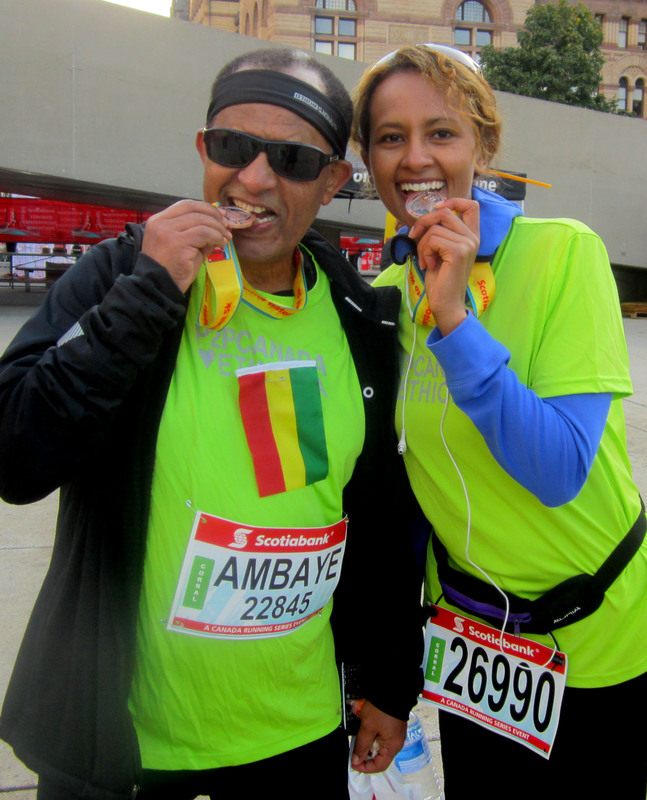 More than thirty runners of Ethiopian descent took part in the Scotiabank Toronto Waterfront Marathon races (STWM) on Sunday, October 20th as members of TEAM P2P. P2P Champions – Messai Gessesee, Ambaye Kidane, Fassil Tessema and Amele Zegwe – placed high in the fundraising results for People to People Aid Organization Canada (P2P). Their motivation was not to further the legendary status of Ethiopian distance running but to champion the cause of children orphaned by AIDS in Ethiopia. Former Canada Running Series Masters Champion (2002, 2003) Lynn Kobayashi has boldly laid claim to “getting the Toronto Ethiopian community running”. 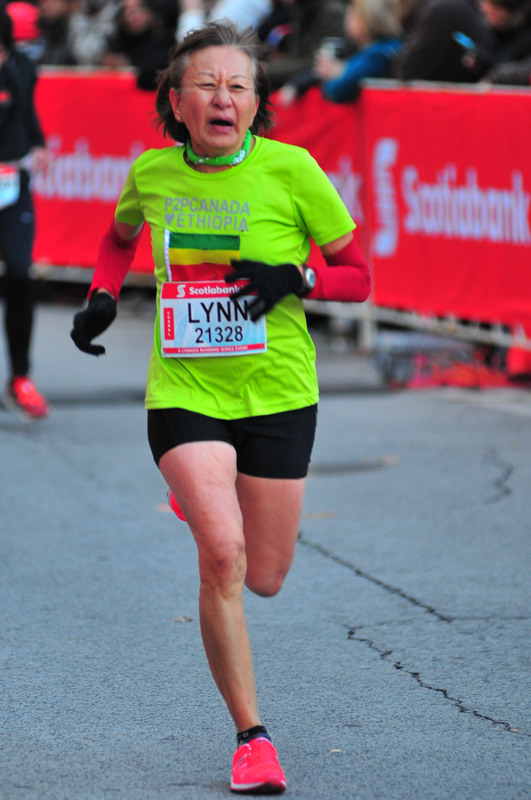 A committed volunteer for P2P and Fundraising and Communications consultant, Lynn knew that the Scotiabank Charity Challenge at the STWM was a “perfect fundraising fit for P2P on so many levels”. 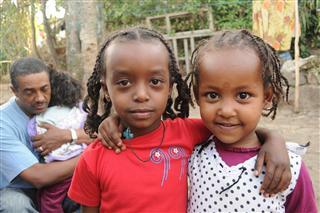 The funds raised support P2P’s orphan sponsorship program in Addis Ababa, Ethiopia. Participants were so very excited about the event itself. And needless to say were thrilled that an Ethiopian, Deressa Chimsa set a record for the fastest marathon run on Canadian soil. Already, plans are underway for 2014. Get your feet in motion for an important cause. It is not too early to sign up to run with the Ethiopians! Categories: Marathon, Running | Tags: Ambaye Kidane, Deressa Chimsa, Lynn Deutscher Kobayashi, Lynn Kobayashi, P2P Canada, Running, Scotiabank Charity Challenge | Permalink.